I have to admit, I was nervous and not really prepared, but still I wanted to show the current state of my indie game – and it felt great. The independent game developer scene is not very big in my area. Actually there’s only one MeetUp group I found close to my place, so I decided to go there. I came in early hoping to chat with the organizers, asking them how things usually work in these evenings and if they have any agenda. They don’t. It’s quite casual. If you have something to show, go for it. So after everyone introduced themselves it was time to start presentations. I did not want to rush things because I was one of the new guys, but everyone was okay with that. Okay.. take a deep breath.. do it! I made a new build the day before the event, put it online and had a copy ready on my USB flash drive. But I didn’t bring my laptop, because I really didn’t think about getting a chance to present the game. So thanks to @CWolf I could borrow one for the little show. The internet connection sadly was pretty slow, so it would take too long to load the game. That’s why it was a very good idea to bring the flash drive. I started the game, fingers crossed, long loading times, and the main menu appeared. So far, so good. Now I have to say something about the game. Anything. I wasn’t prepared for that so I said something about development times, features that are planned, what kind of game Super Snow Fight is in general and what you can do in the game so far. For me the best part was that we actually played the game together. Since Super Snow Fight offers local multiplayer, three guys were able to play against eachother in deathmatch. This was an experience I did not have before, because mostly I play the game alone against the AI or at most with one friend. It was a great chance to see how people play, how they react and how hard or easy the game is for them. What’s even better: People seemed to actually like the game. They laughed! Brilliant! And they said it’s fun! After playing two rounds, the audience told me what they think about the game, asked some short questions and even gave me tips how to improve parts of the game. It was awesome. Thanks a lot everyone who was there. It was a really great experience. I’m looking forward to meet everyone again. But after this unprepared presentation, my energy level dropped to zero. Prepare your speech. Seems obvious, but it can really help to think about what you want to tell your audience beforehand. Rehearsing your words at home helps to get a feeling when you should pause to take a breath and when you should take a break from talking and simply show something ingame. Bring a laptop, if you have one. And think about your display ports. A Mini-DisplayPort to HDMI adapter might come in handy for the projector. Put your game on several devices or platforms. Upload it to your server, bring a flash drive, maybe even a CD or DVD, just in case. Test your current build! If features don’t work or the game crashes, you have to leave them out or restart your game. This takes time, your audience gets sleepy and you get nervous. Prepare some questions. Events like these are perfect to test your game ideas and ask people what they think about them. These people know this stuff, did it already and can really help to improve your indie game. Bring something to write with. A laptop, a notebook, a tablet, anything. A smartphone might be too small. You will get new ideas during your presentation, you will see bugs and you probably won’t be able to remember everything. Drink still water. If your speech takes longer, you need to drink something. And with still water, you won’t have to burp. Drink your coke afterwards. Prepare some slides. If you want to explain features or development issues before you start your game, it’s nice to have some slides ready in PowerPoint, Keynote or whatever. And always remember: Images say more than 1000 words. Always show more images on your slides and less words. Okay, I think that’s it so far. Of course there’s a lot more you can do like sleeping well, don’t be drunk and have a shower, but I think this is common sense. If you have any opinions on that or more tips for the speakers, please tell me! Feel free to add your comment below. 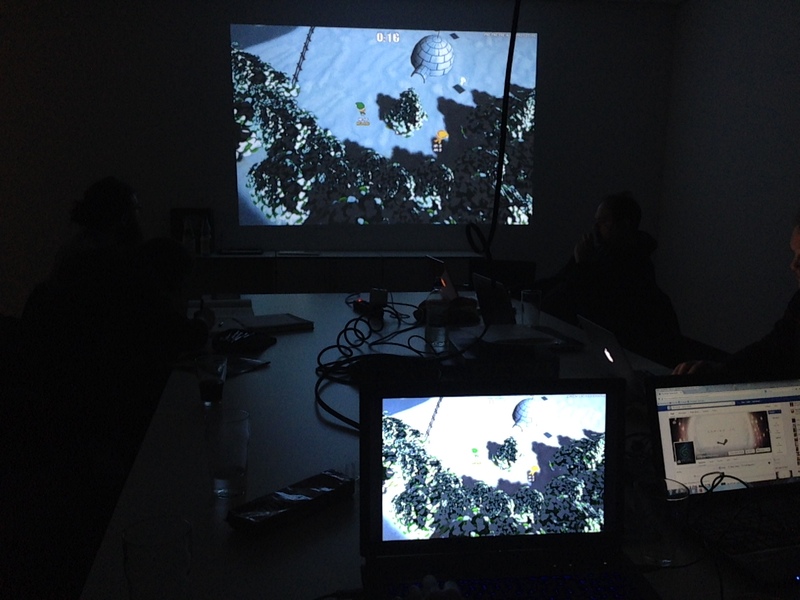 If your interested in the MeetUp Group Independent Game Developers Rhein-Main, you can join it here.